Still working on getting the ball rolling on the audio book. More details on the ebook in the post below. You've waited a long time for this and it's finally here. Book 5 in the Confluence series. VENGEANCE is available for Kindle. We're powering ever closer to the big finale when Jane and Darcy come together to fight their ultimate foes. But there is still an important story to tell before we get to that point. And this is it. This book was a labor of love for me--I hope you enjoy reading it as much as I enjoyed crafting it. ​Five years have passed since Darcy Eberhardt left Raub for dead on Ulream. Darcy and her ragtag multispecies crew have used those years well, searching for her lost love, Adam, throughout the disreputable fringes of galactic society—though the odds are stacked against them. ​Along the way, they liberate the vulnerable and accumulate allies, some of them dubious. Meanwhile, Darcy continues to master her newfound powers in secret. As always, I'll remind you that I'm an independent publisher. That means a variety of things. For one, I don't have a big marketing machine behind me to ensure my success. I do what I can, but in reality I depend on you to spread the word about the books you love. Research shows that people take word of mouth book recommendations far more seriously than any other form, so tell your friends, families and coworkers about all the books you love, including this one, if that ends up being true. It also means that I just completed the work on the several layers of professional editing on this book. It became a final product when I hit the publish button late last night. That means the audio book has yet to be begun. It will begin production as soon as I get all the particulars lined up with the professional narrator. I'm hoping to get the same narrator for this one who performed Inheritance (previously titled The Druid Gene). The work on formatting the paperback of this book is still underway. You should see that appear on various sales sites and available to small bookstores within a week or so. That's it for now. More updates will follow as they are relevant. WHEN WILL THE NEXT BOOK BE READY??????? So I thought I'd take just a moment for a quick post to let you know what is going on over at Chez Wells. Scroll to the bottom to find out what I've been reading myself lately as you wait for the next book to drop. VENGEANCE, Confluence Book 5, is in the final stages of production and should be ready to sell by the end of August. I'm currently working through the notes that my developmental editor has given me. These are story-level changes that strengthen the story. Jeff (contact info on the page: Author Resources) reads and analyzes my story and looks for areas that are my blind spots. He makes brilliant suggestions about what I can do better. It's wonderful to have a skilled mind on that task because I work on these books mostly in a vacuum. I bounce ideas off my partner, but that's not always enough to get them right. A professional resource is needed to keep my work in the un-put-downable zone! Later this month I will be getting the cover art for the novel from artist Galen Dara, Hugo and World Fantasy Award winning artist. I have a deadline at the end of this month to complete the developmental edits. That's when the book is due to go to the copy editor. He will have the manuscript for about 10 days or so and then it comes back to me with errors highlighted in MS Word track changes. I will then work through those changes, format the book, and put it up for sale. In other news, my free time is being spent training our newest family member, Nieve, an 8 month old Great Pyrenees we just rescued. She's a doll. She's also a puppy. (@__@) So my partner has been treating her like a full time job while he's off teaching duty for the summer. When he's got her sufficiently worn out, he leaves her with me while I work, so he can do something else for a while. Lots of walks and ball playing going on to keep her tired! A tired dog is a good dog! ​I'm also working on developing my art skills--I enjoy doodling, experimenting with watercolors, and I'm in the early stages of trying Copic and Prismacolor markers. I currently draw like an 8-year-old. I'm okay with that and am hoping to keep improving steadily though I don't get as much time to draw as I'd like. And of course I've been spending as much time as possible with my kiddos who are enjoying the freedom of their summer break--both of them taking advantage of the free time to play with the new puppy and video games. I've been wanting to get back into knitting more (it used to be my primary hobby) and I just ordered some yarn to make a small decorative everyday silk scarf. You may know that I'm also a bit of a gamer. I don't really watch much tv or movies any more. Just an occasional anime. I really enjoy playing MMORPGs (massively multiplayer online role playing games). Lately I've gotten a bit bored with WoW (World of Warcraft) and started playing Rift until WoW launches it's new expansion in August. I like leveling in Rift so much, WoW is really going to have to be amazing to lure me back. Leveling is my favorite part of game play. Endgame level content just doesn't hold my interest due to its repetitive nature. I like a challenge and I love reaching goals. As a consequence I have 4 characters at max level in WoW--I've been playing about 2 years now. My first main was a Draenei monk, then I leveled a Gnome hunter, a demon hunter, and finally a Worgen druid. I also have many lower level characters, my fave currently being a Lightforged Draenei priest. It's been fun experimenting with the different class types and play strategies. I always play a DPS role. The house is a mess. Tufts of white fur everywhere. Cluttery. But we're all healthy and happy here. My work is a pleasure and I'm so happy to be able to do something I love to support my family! Generally I read for an hour or two before I sleep every night. Here is a list of my favorite books that I've been reading lately. ​Forever Fantasy Online by Rachel Aaron and Travis Bach. This book is described as Sword Art Online meets WoW and it delivers! Adored every minute of this book! 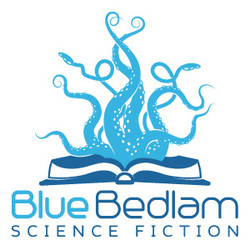 ​The Genius Plague by David Walton is the type of scifi pandemic story I love. Whenever biology and psychology come into play, I'm there. ​Binti by Nnedi Okorafor is an utterly enthralling novella. I can't find words to describe it that will do it justice, but it won both the Hugo and the Nebula and rightly so--read it! I'm looking forward to reading the rest of this series! This is an absolutely absurd romp! I tore through the entire series in no time flat. Something like Douglas Adams meets Guardians of the Galaxy with a screw-up but lovable protagonist. Flotsam by R. J. Theodore. Steampunk and airships with aliens AND high adventure! What? Such a fun fresh read by a talented new author! We Are Legion (We Are Bob) Bobiverse Book 1 by Dennis E. Taylor. Wry humor abounds in this novel which contains a lot of brilliant techy stuff and fresh new ideas for the space opera genre. If you enjoyed the snarky narrative style of Andy Weir's The Martian or Ernest Cline's Ready Player One or Armada, you will also love this book. I know I am enjoying every minute I spend with it! That's it for now. Just a casual sort of update. Hope you found something herein to interest you. Let me know in the comments. I can try to do more of this if you find it worth my time. As ever, please leave reviews for the books you read, good or bad--reviews legitimize an author and help them get a foothold in a competitive market. You can make a difference in an author's livelihood by just taking a moment to type up a few words about what you liked or didn't like about a story. And keep reading! There's so much good stuff out there. There's no reason to be bored in this day and age! Tell your friends, relatives, and neighbors about the books you love--get them hooked too! A lot of the stuff we do as modern people will pass the time, but nothing will expand your mind like a good book! 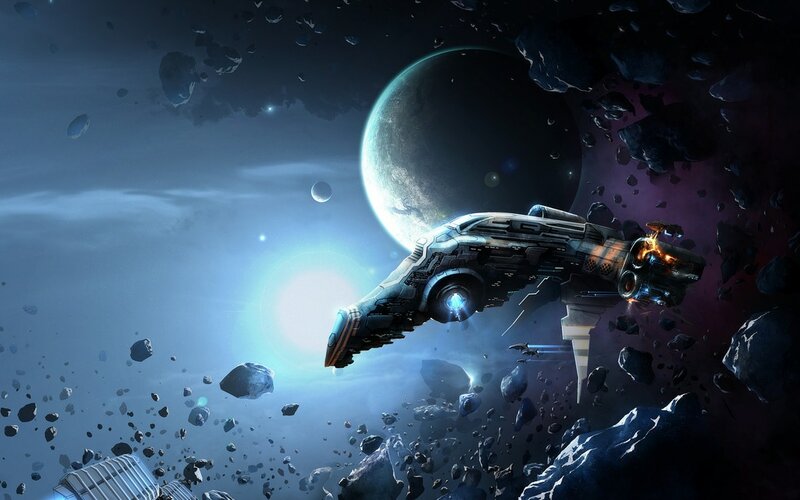 ​A bundle so packed full of space opera, it was assembled in orbit. and then you read it in less than three days. I bet you're looking for some other authors to fill in those gaps. So, I've got something special for you today. 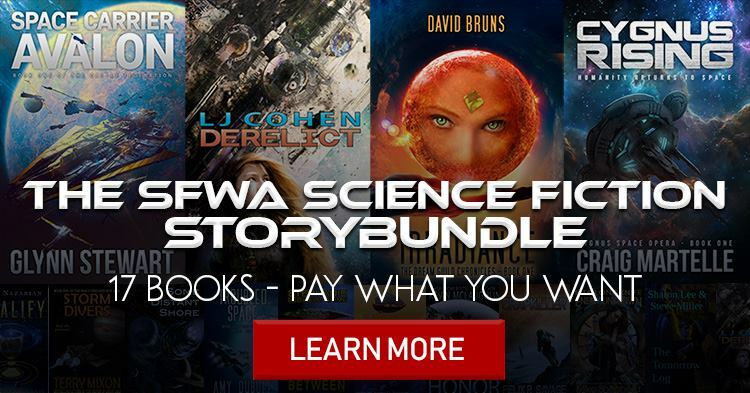 ​You may or may not be aware that I'm a member of the Science Fiction and Fantasy Writers of America (SFWA--pronounced sif-wuh), the entity of peers that organizes the Nebula Awards, among many other important works in our industry. Featuring New York Times Bestselling authors Michael Cooper, Mike Shepard, and Felix R. Savage, USA Today Bestselling Author Kevin McLaughlin, International Bestselling Authors Glynn Stewart, Craig Martelle, Terry Mixon, Amy DuBoff, MYSELF, and more! StoryBundle is a way for people to discover quality books written by indie authors. 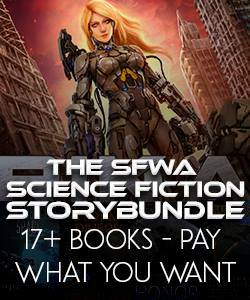 They take a bunch of great books and group them together to offer as a bundle. Then you, the reader, take a look at the titles they've chosen and decide how much you'd like to pay. They mean it; you set the price that you pay! Space Carrier Avalon by Glynn Stewart: Carriers clash and starfighters duel in Glynn Stewart’s epic far future novel of a cold war on the verge of turning hot. 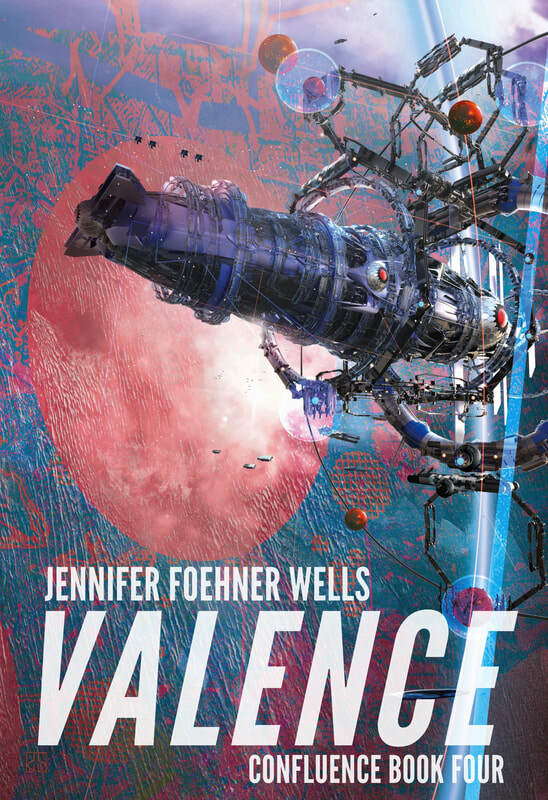 Fluency by Jennifer Foehner Wells: An expedition to a derelict alien ship spirals into chaos and linguist Jane Holloway must decide if she can trust an alien’s help to survive. 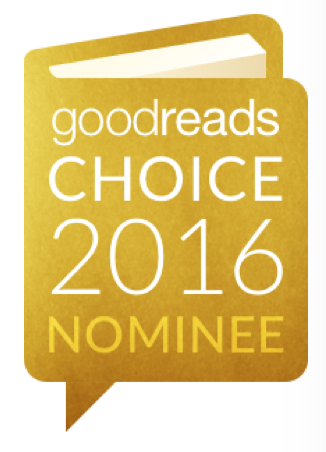 Fluency won the Gold in the Fantasy/Science Fiction category of the 2015 eLit awards. Rita Longknife: Enemy Unknown by Mike Shepard: The war is over, so why are merchant ships still vanishing? Is it pirates, or is humanity no longer alone in the galaxy? Rika Outcast Micheal Cooper: Rika is mech-meat, a cyborg killing machine, created by the Genevian military and cast aside when the war was lost; she wants to build a new future for herself, but hope doesn’t buy repairs, and Rika will find her fighting another people's war just to stay alive. Cygnus Rising by Craig Martelle: From space they came, to space the returned, humanity searching for a way home. Storm Divers by Terry Mixon: Adam Hale thought diving deep into Jupiter’s atmosphere was the most dangerous thing he could do, but that was before a beautiful spy that hated his guts came looking for him. Troubled Space by Amy Duboff: Aspiring smuggler Jack Tressler is subscripted into a pirate gang where ambitious heists, poor planning, and food-related distractions are a way of life in this farcical space opera adventure. Crapkiller by Felix R Savage: Elfrida just graduated from the Space Corps. She was expecting a holiday on Ganymede, but instead she's roped into a vermin hunt that plunges the new Space Corps graduates into a dangerous world below the ice. Accord of Honor by Kevin McLaughlin: A retired admiral and a young spaceship captain are all that stands between a defenseless Earth and those who would take total control over all of humanity. Tomorrow Log by Sharon Lee and Steve Miller: Master Thief Gem ser’Edreth’s first mistake: refusing to steal what the planetary crime boss wanted. His second: stealing it anyway. Ithaka Rising (Halcyone Space, book 2) by LJ Cohen : After a reckless young computer programmer resurrects the damaged AI on a long dormant freighter, she and her accidental crew blunder into a galactic conspiracy forty years in the making. A Rose From Old Terra by Don Sakers: A group of far-future librarians travels to a distant part of the galaxy to save civilization. The Dark Between by Stephanie Bedwell-Grime: A dark mystery lurking on a derelict spaceship leads to a desperate fight for survival. Some Distant Shore by Dave Creek: Two star systems are colliding, and Mike Christopher of the Earth starship Asaph Hall is rushing to unlock their mysteries, even as two alien races on the journey are keeping their own potentially deadly secrets. Nothing Left to Wish For by Andrew G. Schneider: Step onto the deck of the skyship, the Pirate Queen and join first mate Esmeralda, Prince Sasha, and the genie Sting on a spectacular voyage across the Endless Desert. The Dream Guild Chronicles Three-Book Set by David Bruns: Lost in Space meets Big Brother in The Dream Guild Chronicles. Experience time-bending space travel and exhilarating first contact adventures among alien civilizations set against the backdrop of one family’s struggle for survival. VALENCE audio book goes live! Two blog posts in one week?! What is actually happening to me?! As you probably know, I'm an independent publisher, which means that as soon as a book is complete, I put it up for sale. That means that the audio production team doesn't get the book until then. So the audio of my books tends to lag behind by a few months. Since most of my readership is ebook, that makes sense. But the wait is finally over! Susanna Burney and Marcia at SicSound Studios did a wonderful job with this book! It's definitely worth the wait. Happy listening and read on! Do you have a question about writing or publishing? Ask them in the comments or shoot me an email through my contact form. I'm planning an upcoming blog post to cover my process. What do you want to know? About me, my process, how indie publishing works? I have the answers! UPDATE: The problem has been fixed. 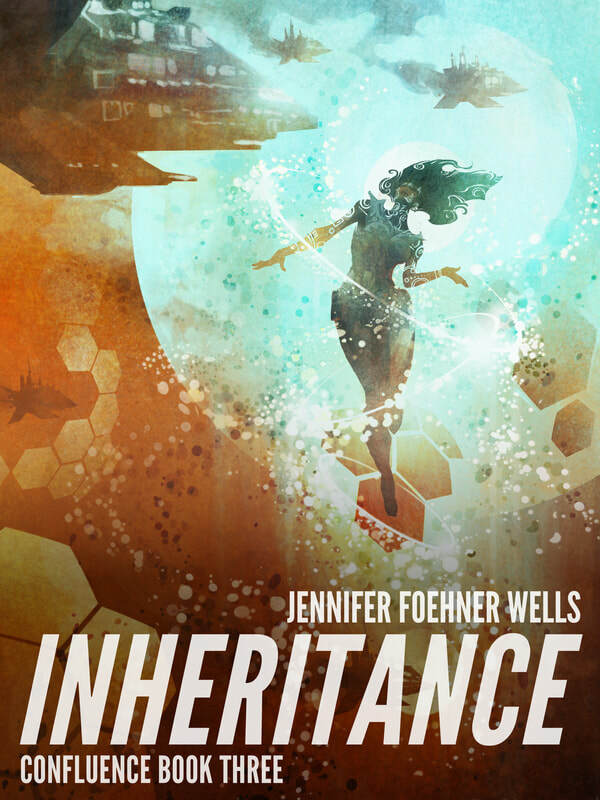 Inheritance is once again available and all on one page here. Thank you to everyone who alerted me to the problem and patiently waited for the book to come back online. You're the best! I've been going bonkers for about three days. As you may know from my previous post, I retitled The Druid Gene and stuck it in the Confluence series since there will be two books total devoted to Darcy that converge (or conflue) with Jane's stories. Confluence, as planned, will be six books total. Book 5: Vengeance, is what I'm working on right now and this book is about Darcy. The events in Book 5 will be EXTREMELY important to Jane in Book 6: Convergence when the two women finally meet, put their heads together, and have a really big adventure. I planned all this stuff out ages ago. It's awesome. That's all I'm saying about that. Luckily, says I, publishers rename books all the time. Amazon even makes it easy. I just change the name on this little form. Change a few things in the books. Make new covers. Contact the audio book narrator and ask her to record new intro/outro. Yeah, it was a lot of work, folks. And now… a new challenge of sorts. I kept the Amazon identification code ASIN (pronounced ACE-in, I'm told--not the other way, never the other way!) for Inheritance the same--so that anyone who ever bought Druid Gene would be alerted that they already owned it and wouldn't buy it twice. I even put a line in the description stating that "this novel was formerly titled The Druid Gene." It's been down for probably 3-4 days as of this writing. That's when I started getting dozens of emails, tweets, facebook messages, and messages through my website--all from people who want to buy and read this book. You know what? I want you to read it too! I immediately contacted amazon. I got an autoform reply that said someone would contact me within 24 hours. The next morning I was given the quoted message above. It was clear that they didn't understand the situation. I've checked the book. Only about 10 times. It contains the proper content. What has happened, I suppose, is some very confused customers complained to Amazon that Inheritance is a repackaging of Druid Gene without realizing that Druid Gene is no longer available for sale except for a few used paperbacks floating around. Again, I'll restate that it should be nearly impossible for them to be duped into buying the book twice because of the name change. I asked some of my readers to check the day Inheritance went up for sale--they were immediately alerted that they already owned the book. In fact, for most customers, Druid Gene magically transformed into Inheritance on their kindles without them doing a thing. So I immediately replied to this email from Amazon, explaining everything in detail. This was well over 24 hours ago. No reply about why the book was taken down or how we can fix it. I did get a reply saying they finally put the ebook, paperback and audio book on the same page. Yay? They ignored me today, completely. Not a word. I tried calling Amazon today through Author Central. The call absolutely would NOT go through. I tried for over an hour. By the end I may or may not have been frightening my neighbors with random screams of frustration. I ended up sending another email to that team, essentially begging them for help. I'm losing sales, but even more than that, I'm disappointing readers. The scores of people that contacted me are probably only a tiny percentage of the people that actually wanted to buy that book over the last three+ days. All I can say is that I'm doing everything I can short of hopping a plane to Seattle and bopping Bezos in the nose with a wet noodle. Stay tuned, gentle readers. I plan to let every single person who contacted me know as soon as I find out the book is back up. Personally. That's how I roll. I uploaded VALENCE late last night and it went live sometime in the early hours. It's available on Amazon here. I also made a SmartURL that will direct you to the Amazon site in your neck of the woods (13 countries represented): VALENCE. Paperback is still in progress but should be available in a few days--and within a week the two pages will be merged. ​Will you look at that cover? Another stunning beauty from Stephan Martiniere. I will be emailing the audiobook narrator today and production will begin on the VALENCE audiobook as soon as she has an opening in her work schedule. ​I also need to email my Russian publisher because they are ready to publish this work as well! I've always maintained that the reading order for my work should include The Druid Gene, but people don't seem to know it exists or that Darcy's storyline intertwines with Jane's. I am rebranding The Druid Gene as INHERITANCE and making it Confluence Book 3. Therefore, VALENCE is moved to slot #4. I asked Galen Dara to rework the Druid Gene's cover so that it would fit well with the other books in the series to get it ready for a relaunch. I couldn't be happier. It's beautiful. There are two more books to come in this series. Another book about Darcy and a 6th book where all the two storylines converge. CONFLUENCE. It was how I planned it all along, but it's been difficult figuring out how to package it. I hope this new labeling system works better. Now I get to catch up on sleep. I've been burning the midnight oil AND the candle at both ends for what feels like months. After US Thanksgiving I will begin on book 5--can't wait! ​Don't hesitate to leave questions. I'm trying to keep up with social media today, but it's all very busy. I'll get to everything, I promise. Finally, a word about book piracy. I'm a independent author. That means I am a self-contained publishing house. I hire all the same cover artists and editors that the big publishing houses do and I have to pay the same prices for that work as they do. I'm not a big conglomeration. I'm trying to make ends meet just like you are. Piracy is illegal. It's dangerous (most sites have malware and viruses). And it does not reward an author for the time, energy, and money it takes to produce a quality work of entertainment. A latte is approximately the same cost as one of my ebooks. I deliberately price my books fairly, so that people can afford them, without devaluing the work that goes into them. You get quite a few more hours of enjoyment from a book than a coffee. Just saying. I've been hearing reports of authors being dropped by publishers because they aren't selling enough books as a direct result of piracy. Some authors are leaving writing behind them altogether out of frustration. Please support authors (and artists, and musicians)--no matter who publishes them. Our world is richer for their work. Readers of my infrequent posts know that I didn't manage to make my summer deadlines (I moved from Indiana to Pennsylvania over the summer which proved to be too much for me to manage with finishing and editing a book). So, what's the scoop now? When can you expect Valence to arrive in the Amazon store? As you read this, I'm finishing the story level (content edit) revision with notes from my developmental editor. That means I am working around the clock. No tv. No video games. I'm doing a little social media and drawing/watercolor with my kids for breaks. The manuscript goes to my line editor next, in 11 days. He keeps it until October 3. When I get it back, I make corrections based on his flags in Microsoft Word track changes (typos and other errors). This can take a few days to a week depending on how many errors I've made (my manuscripts are quite clean compared to most authors, I'm told). Then I format the book and upload. This usually only takes a day, unless I hit a technical snafu. So… all that said… it's looking like mid October for final release. Why no hard release date, like other authors? I'm independent. I basically run my own publishing company. So while I go through all the same steps as big traditional publishing houses, I do not do this with hundreds of books at a go, just one. Big publishing houses sit on books for a year minimum, normally, after an author submits their draft in preparation for editing. They project release dates far into the future, though a book may be ready much sooner. I see no point in doing that. I publish my books when they're ready and that can be unpredictable, at best. You never know when you'll hit a snag. It's a creative piece, organic, and sometimes things go wrong. You may realize you made a continuity error or a character reads differently to a beta reader than you planned and has to be reworked. Or you get sick. Lots of things can happen. Life happens. ​Mid October, though! Yay! I'm so excited to have you read this. My editor tells me this is my best work yet. I absolutely love this book. I sure hope you will too. ​In other news of my life, my children are settling into their new schools quite well and both boys seem much happier where they are now. My two cats are having a turf war with my partner's crotchety aging cat which leads to midnight screeching fireworks. I've gained a new fluffernoodle (canine person) in my life. You'll see a pic above left. She makes a very snuggly writing assistant. She's good people. Just try to escape from the cuteness of this Pekingese/Chihuahua type fluffernoodle! Try! Try, I beg you! Link, five-pound fluffernoodle of my heart, is still trying to get everyone to play, though no one of the non-human variety will cooperate, so he compensates by leaving his toys on the stairs to see what will happen when the humans race up and down. We're all settling into the new house quite well. I love Pittsburgh. LOVE. Though I miss my friends in Indiana dreadfully. I'm sure in time… when I have free time again… I will get out and meet lots of new people to hang out with. This zen library spans the 25' across our living room and dining room. What's that behind Emma, you ask? Why, it's a 25 foot wall o' books. This is what happens when a scifi author and a literature professor (who teaches scifi) mate for life. They breed books. So, until I have more news, Read On, my friends! Get your vitamin R! I FAILED, BUT I'M STILL CHUGGING ALONG--and some GOOD NEWS! I missed my deadline. I'm sorry. As many of my readers are aware, I am currently in the purgatory between two homes. I've sold my home in Indiana and am waiting to move into my new home in Pennsylvania. I intended to finish VALENCE well before the move, but I'm human and I failed. One of my biggest character flaws is to assume I can do everything I set my mind to, just like the heroes I write about. I normally can manage it, but this time, I simply couldn't. I underestimated so many things around the move--the packing, the disruption of prepping the house for showings, the aftermath of the sale and getting all the little things fixed that the buyer required as part of the sale. I need to have mental energy to write and edit. Long days full of errands, supervising contractors, keeping children and pets happy and healthy just sapped me completely. I'm still working on VALENCE each and every day as energy and time permits. I won't release it half-baked. I won't disrespect my readers or my characters like that. As it is now, I can't predict when VALENCE will release because I have to reschedule with my editor. It may be months, but hopefully weeks. I promise to let you know when I know more. Big editing houses do occasionally delay a release. It happens. And they normally have at least a year of buffer between when an author submits a final copy and the final release into the world of an edited novel. As an independent author, my deadlines are very different--I can release as soon as the book is complete, which makes situations like this more nerve wracking. I always try to give myself plenty of leeway, but sometimes a book takes longer to cook than anticipated. That's what's happening here. 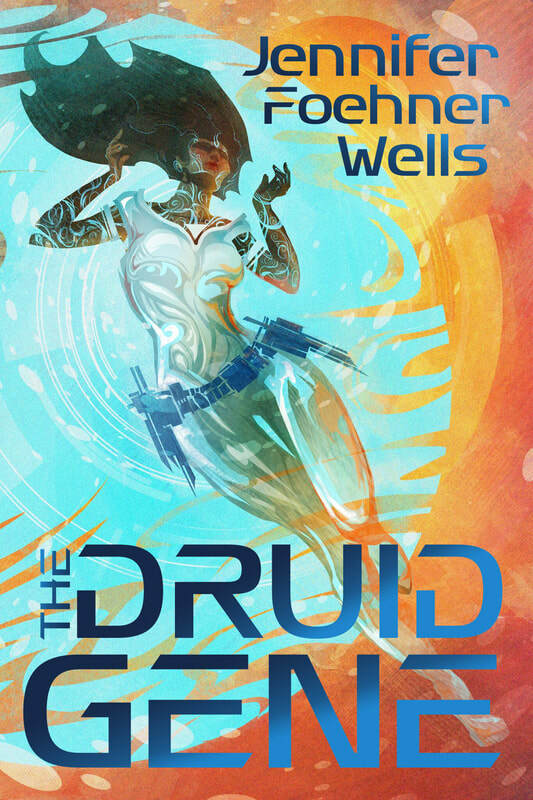 The DRUID GENE AUDIO BOOK is finally here! 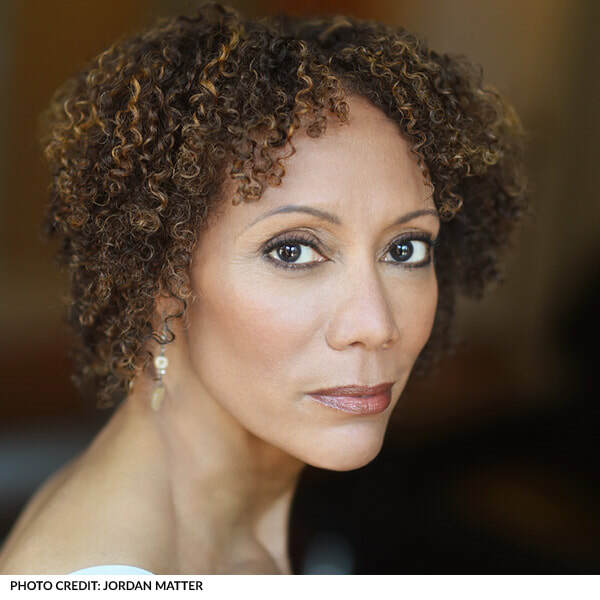 Audie Award winning ROBIN MILES narrated this book and it is a truly wonderful performance. Read more about Robin here. I first heard Robin reading NK Jemisin's The Fifth Season and her performance of that wonderful novel blew me away. I approached her about working on the DRUID GENE and was so pleased to find out she was interested. It's worth listening to for her characterizations of the hymenoptera alone! Just brilliant! Robin's background in stage and screen performance really come through. She's trained, she's talented, she has the chops to make a book sing. When I have more information about the release of VALENCE, I will post it here! I'm givin' her all I got, Cap'n! Apologies. I haven't been doing a very good job keeping my readers up to date lately. I'm a private person, but I'll confess here that my life has been experiencing a sea change over the last two years and that is culminating in me (and my boys and dogs) moving a couple of states away. That story may end up in another blog post when things finally settle down. I've managed to stay on top of the schedule for release of the next book, for the most part. It's going to be a few weeks later than I intended. 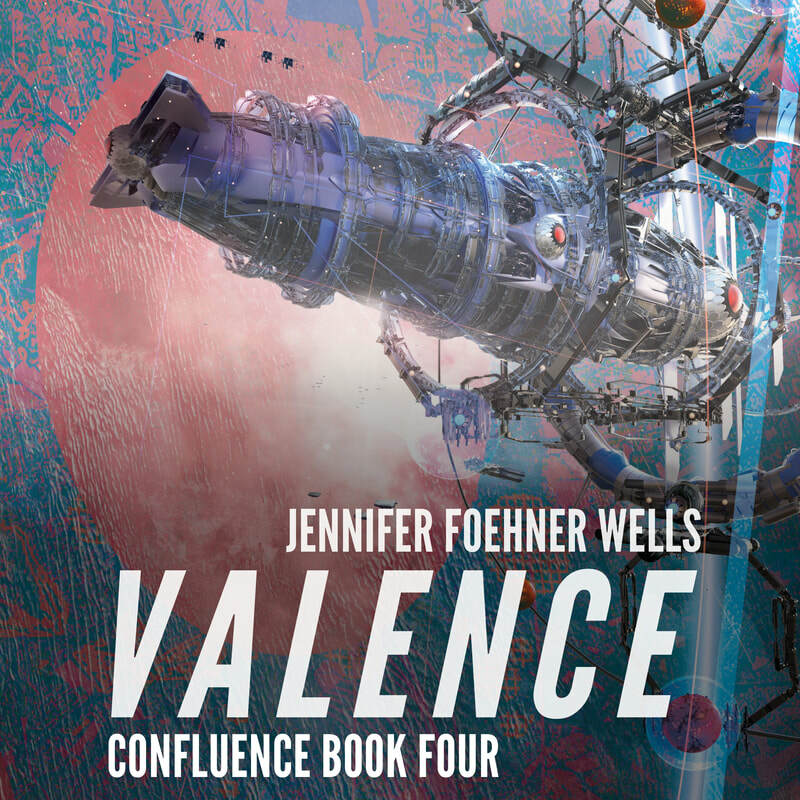 I originally planned to release Valence, Book 3 of Confluence mid-June to celebrate the 3rd anniversary of the release of Fluency. But life gets in the way sometimes. My favorite editor had a baby, I'm moving to Pittsburgh and packing up my home. But we keep on rolling. Expect VALENCE in early July. There won't be preorders. 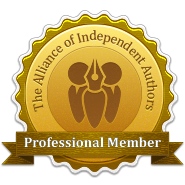 They don't benefit me as an independent author the way they do traditionally published authors (in fact they are bad for my bottom line overall), so I don't do them. If you want to be the first to know when Valence hits the metaphorical shelves on Amazon, put your email into the little bar at the top of any page on my website. I don't send email often, but when I do, it will be something you're gonna want to know about. I'd like to also mention the recommended reading order for my two series. Both series are set in the same universe and the storylines intertwine. What will I publish next? I'm plotting out two books right now. One is a Druid Gene Book and one is the 4th (and possibly final) Confluence book. As soon as that's all mapped out, I'll know which book will be coming next, probably in early 2018.